In the 46 years that we’ve been serving photo enthusiasts across the UK, here at Park Cameras we’ve always aimed to give our customers the very best shopping experience, whilst helping you find the perfect products for your needs. 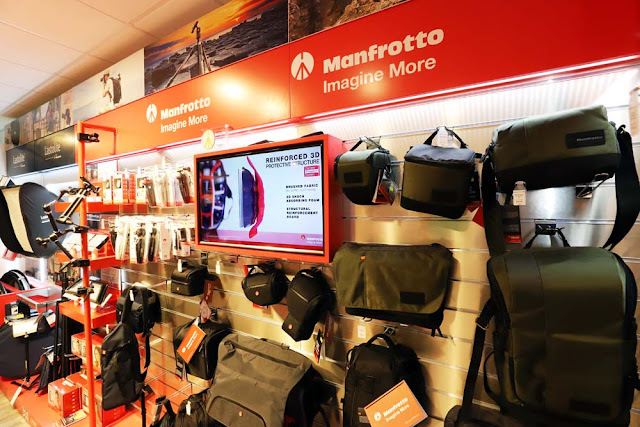 This year is no different, as we have continued to make enhancements to our Burgess Hill store with the addition of a brand-new area showcasing the wide variety of products available from Manfrotto. 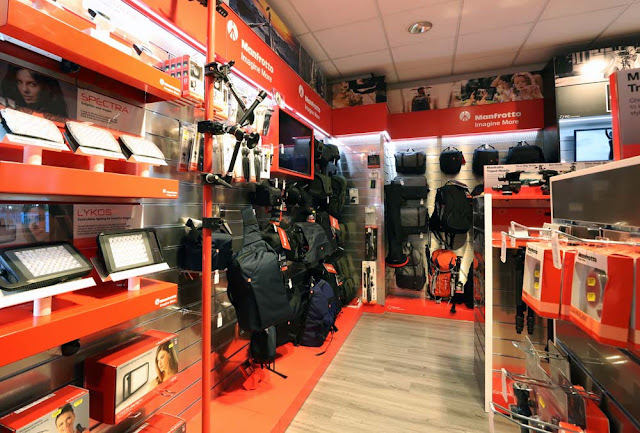 Upon visiting the store, you’ll find that every part of the Manfrotto area has changed, with more space available to try out the Manfrotto range of products. 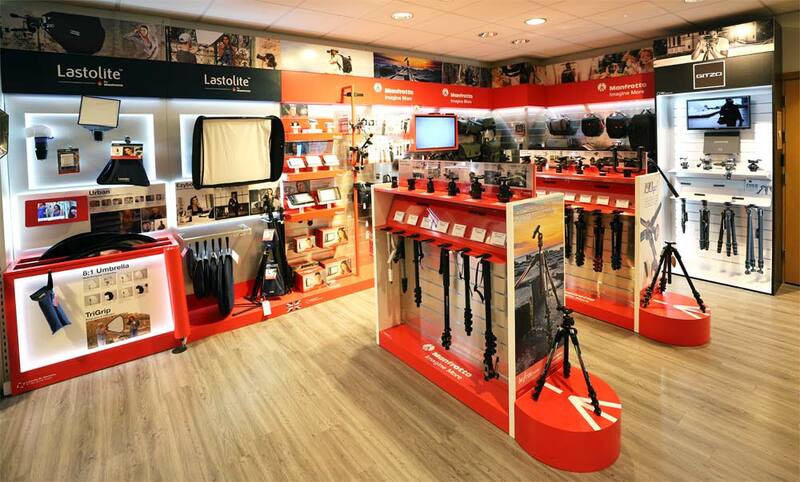 We believe it is now easier than ever to try out a wide variety of tripods, monopods and heads, suitable for a range of budgets and applications - whether you are capturing the sights of the cities, travelling the beautiful countryside or coast, or simply taking photos of the family at home. In addition to this, you can test out a large selection of bags to help keep your kit safe including the new Windsor and Aerial collections. We have also incorporated an area dedicated to the Gitzo range of tripods, monopods, heads and accessories. For one hundred years Gitzo have been producing products designed to offer maximum precision and quality, and as a 5-star dealer, Park Cameras is the place to go for professional photographers looking for a tripod with no compromise. 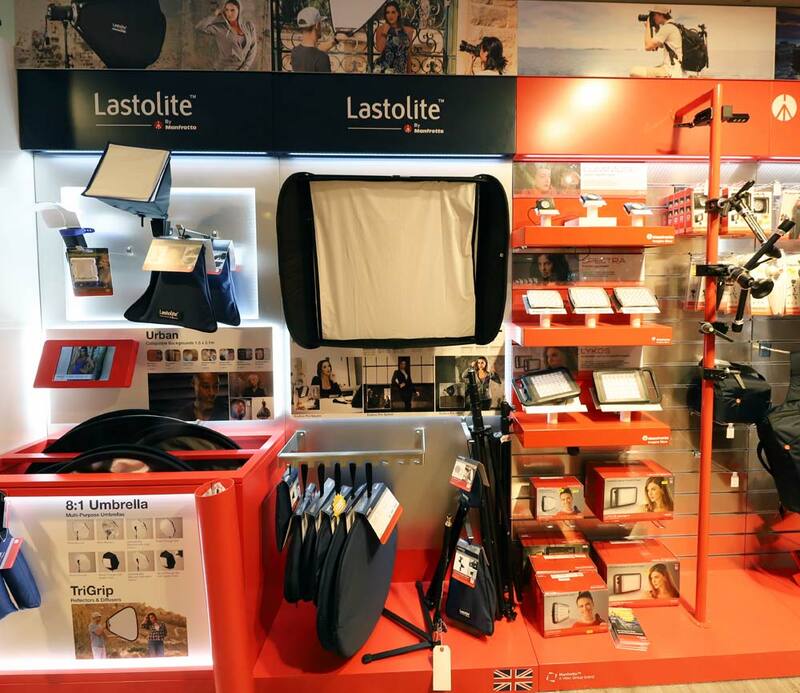 With many more products available to show, you’ll be spoilt for choice! When designing this new area of the store, we were also looking for ways in which to show a wide choice of lighting solutions, suitable not only for photographers and videographers, but also for those who approach imaging using smartphones or compact cameras. The result is a new Lastolite area which shows a range of lights and accessories designed for a range of different uses. A screen displaying constant videos can also be found in the area to show how you can use some of the lights in different environments, with information boards showing the many options available, such as different backgrounds. 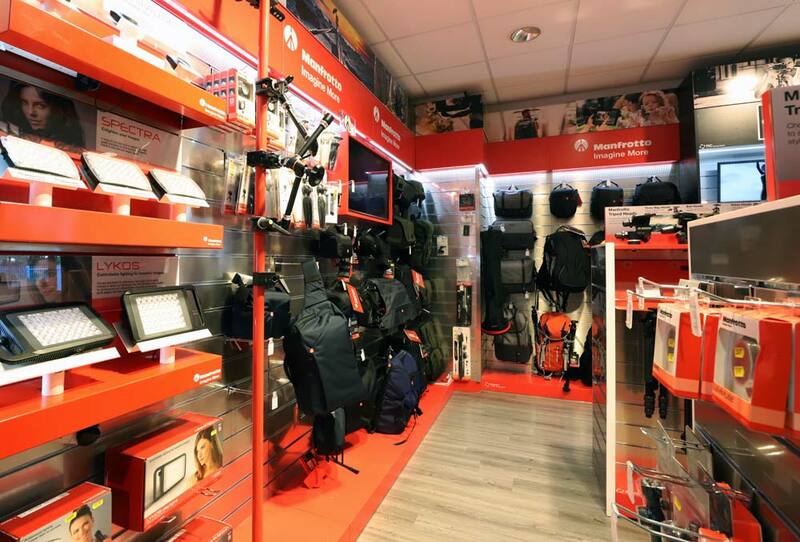 As ever, our team of friendly experts are on-hand to guide customers and offer advice, and are always available to provide in-depth product information as well as giving valuable recommendations on the best products for visiting customers.